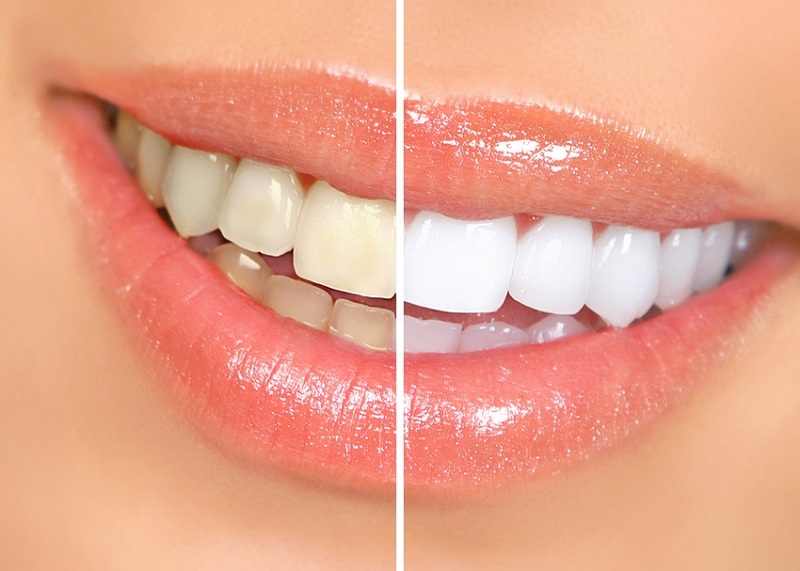 Tooth whitening or bleaching is generally the first step in restoring your smile. A simple restorative dentistry procedure, whitening can take years of yellow off of your enamel, enhancing the beauty of your teeth. White teeth are part of a healthy smile, and are an important aesthetic element that many people go to great lengths to maintain. However, smoking, alcoholic beverages, and caffeine consumption can help to decay tooth enamel, giving your teeth a yellowish appearance. It is for this reason that restorative procedures such as tooth whitening are a common part of dentistry. Dr. Medina offers state-of-the-art tooth whitening with GLO, a new system that uses heat and light to warm the gel application to whiten and brighten your smile. And, it can be completed in only one office visit. Read more about the GLO tooth whitening process with Dr. Medina. In Las Vegas and want to get rid of yellow teeth? Dr. Medina’s state-of-the-art office offers tooth whitening. Schedule an appointment with his Las Vegas office today.